Dukes Painting Services had an existing website that was beginning to show its age. The site need to be modernised to showcase their skills and previous work to prospective customers. We created a site rich in images to showcase Dukes Painting Services. 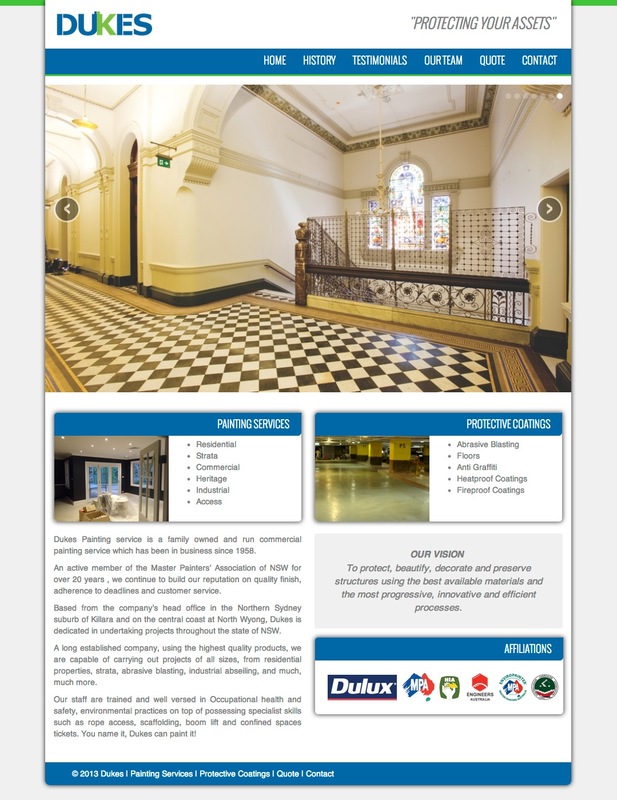 Taking advantage of Dukes' long history, and photographic records of jobs well done, we created a website which simultaneously showcases their many successes, as well as their diverse skill set in the painting industry. Close collaboration and communication helped Dukes' and NDStudio's work together to the right solution to the satisfaction of both parties.